The sheer quality of this product is absolutely amazing and does not disappoint. 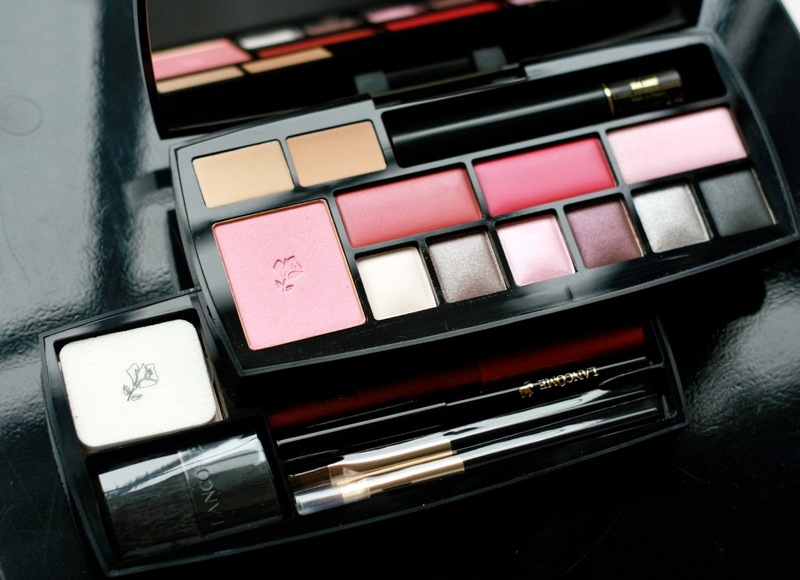 It comes with two concealers which can be seen top left, and then a mascara. 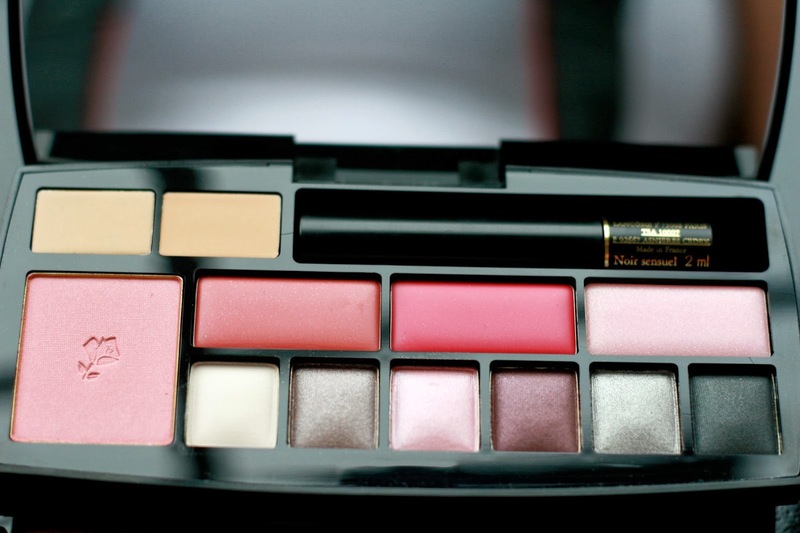 It has a gorgeous rose coloured blush and then 3 beautiful lip gloss shades. The final row on the top is 6 eyeshadows which are all to die for! The concealers are light and blend smoothly. They did not crease or me at all nor did they settle into any fine lines. The mascara is fabulous and is actually the best mascara I have tried from Lancome it’s the black Virtuôse one. It is pretty expensive but it really is worth every penny! It thickens your lashes, lengthens them and curls them. Perfect. The blush is so pretty because it gives that pink flush you get when it cold outside and it is very very natural looking. It lasts well and the included brush applies it nicely as well. Now, my favourite part of this little palette is got to be the shadows. They are so pigmented, last well and are heavenly to apply. As you may have noticed they are grouped into little duos. The first set is called ‘Beautiful basic’, the second is ‘pretty in pink’ and lastly the black and silver is called ‘evening queen’. It’s a cute idea but you can obviously work from different duo’s… I really enjoy the darker taupe with the dark purple, its lovely. Then, if you thought it couldn’t get any better, you realise there is a whole new level with some extra handy bits… You get a pressed powder and a little lancome sponge thing which is great quality and therefore perfect for travelling. You also get a mini blush brush and two other brushes, one for lips and one for eyeshadow. Finally, you also receive one lip pencil which is amazing for me, it matches my lip colour almost identically. You also get a jet black eyeliner pencil. Oh wow, this looks so beautiful. What great colours! ← Christmas Wishlist – infinite money!